There normally isn’t much to say about a scorecard, but at Purgatory we tend to buck the trend. We have the traditional ‘pretty’ scorecard, but we also offer two more options, that well, give you more options. 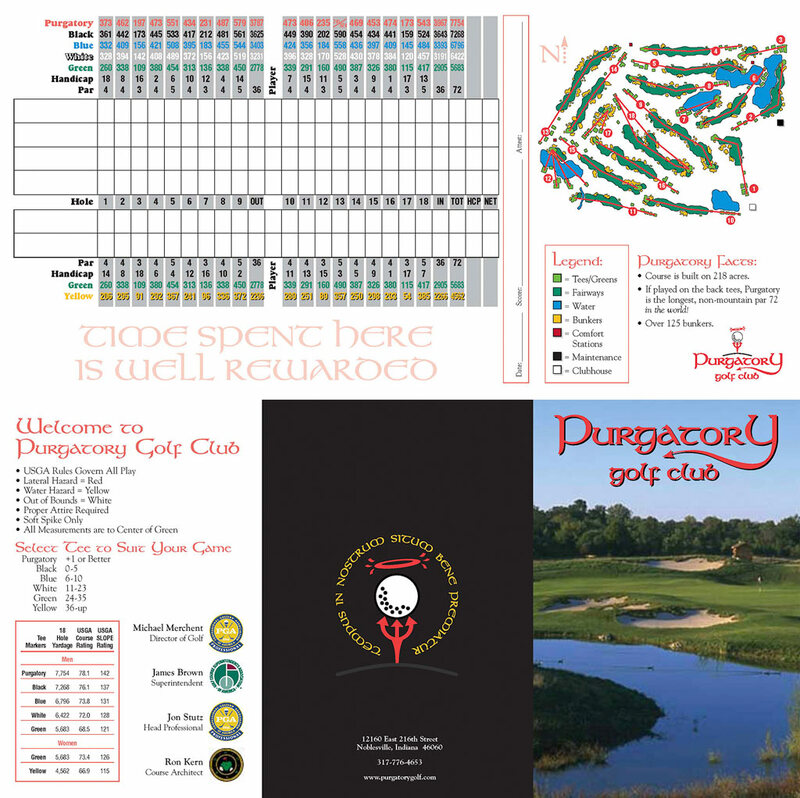 In the fall of 2011 our own members came up with the idea of designing a card that mixed up tee selection, and created an 18 hole yardage of 6061. It combined the blue, green and white tees. Our staff accommodated our clever members with a scorecard they could request at the proshop counter including slope and rating. This past winter our staff thought yet one more scorecard would be a good idea. This one combines the green and yellow tees to reach a total yardage of 4892. Both of these ‘by request cards’ have slopes and ratings for both men and women. So if our usual six sets of tees just aren’t enough selection for you, we have two other options all set up for you including scorecards.